Creative Assembly have been making waves this past year or so. 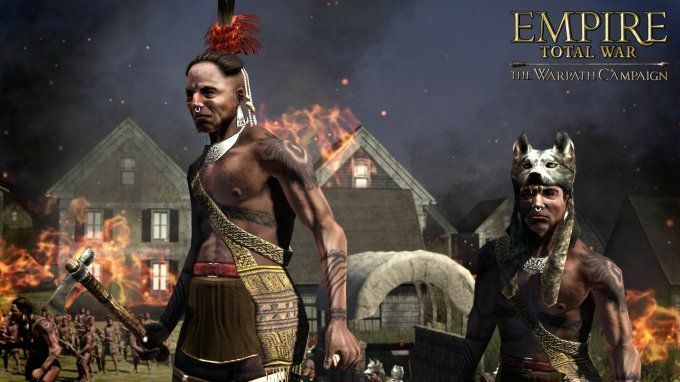 It seems that ever since the release of their latest flagship title, Empire: Total War, the Surrey-based studio has been courting controversy left right and centre. Some fans were appalled at the state Empire was released in, whilst others bemoan the delay of the multiplayer campaign and/or mod-tools, and then there are others who dislike CA’s new DLC strategy. 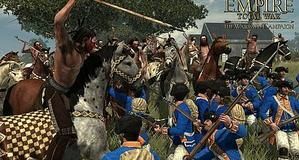 The latest batch of out-cries came from their recent announcement at this year’s GamesCom of a brand new Total War game, due out almost a year after the previous one. 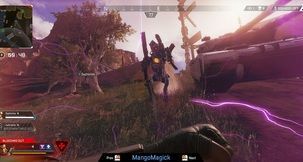 Fans all over feared another Valve/Left4Dead scenario, but despite fears CA have kept their promise of post-release support for Empire and now that promise has been edified by the release of their first official expansion for the game: Warpath. Each faction has iconic special units for you to wreak havock with. It's easy to imagine yourself trying to save this beautiful landscape. We say expansion; in all honesty it’s more of a micro-expansion. You all remember Kingdoms, the expansion for Medieval 2: Total War that came with four mini-campaigns? Well imagine that, except there’s only one mini-campaign, and its download only, and that’s pretty much all Warpath is. 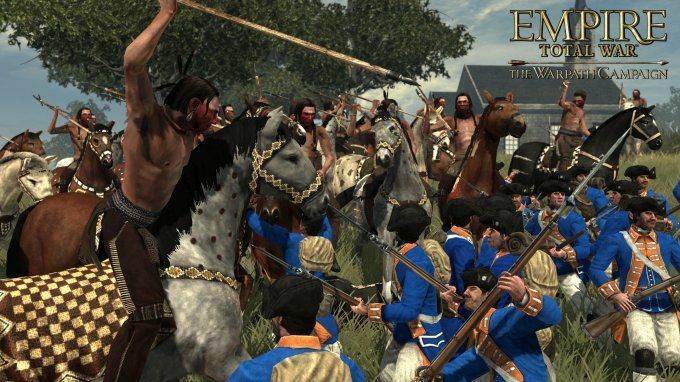 Focusing on the Americas during the late 18th, early 19th century, the player gets to play one of 5 revamped Native American factions as the fight for survival against the ever expanding European factions. Spain, Great Britain and the newly minted US of A are just some of the enemies you will bump into regularly, and whilst France and the United Provinces also have a ‘presence’ on the map, the nature of the time period means that you’re unlikely to come into contact with them. Even though the synopsis says “five brand new factions”, that’s not entirely true. Each of the playable nations: Cherokee, Plains Nations, Pueblo, Iroquois and the Huron Confederacy, are present in Empire. You can fight and defeat them as you expand through the Americas; however in the expansion they have been expanded upon and given their own unique tech trees and unit rosters in order to play more like a real faction. 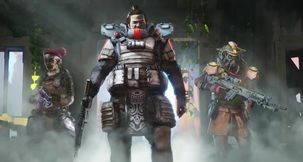 They feel a bit bare, with a lot of similar low end units, but providing you survive until later on in the game each faction’s unique units should be interesting to play around with. Coupled with a revised and slightly expanded Americas map, this expansion actually has a fair bit to offer, considering you’re interested in the subject matter. The real triumph of this add-on however has to be the gameplay itself. Outside of modding, the average player is unlikely to have played a faction quite as ‘backwards’ (comparatively speaking) as the American Indians, and so the style of play is completely different from that of one of the European powers. Fighting battles against the advancing armies of the ‘white man’, especially on the harder difficulty levels, provides you with a challenge unlike any other. You really have to pull out every trick in the book just to win, never mind minimising causalities. Numbers, tactics, movement... concepts that were starting to lose importance in 18th century warfare are suddenly more important than ever, and each and every battle is a struggle for survival. All this helps create the atmosphere of what it must have been like to live as those people 200 hundred years ago. The fact that you as a player must struggle not to be crushed underfoot by the might of Europe (and the US) helps you to really empathise with their original struggle. Added to this is the fact that one must make a difficult choice: Do you fight your fellow Indians and expand quickly, or do you try to unite against a common enemy (Although to be honest, most of the time the AI Indian factions will fight you, whether you want to or not)? There are, unfortunately, a few problems with Warpath. The game could still do with some balancing, as the European factions, especially Spain, can be a little too much to handle in the early stages. The tech trees, whilst not bad, are a little bare and seem more like a token gesture than anything else. Some might be miffed that you can’t play as America, or one of the European factions (although it’s clear to see that playing as them kind of defeats the purpose of the game itself, but each to their own), and due to the nature of the factions you play as, everything just seems a tad basic. On the other hand however, it’s only £6. Normally pricing doesn’t really affect how a game is reviewed, but in this case we can’t help but point out that you get what you pay for. 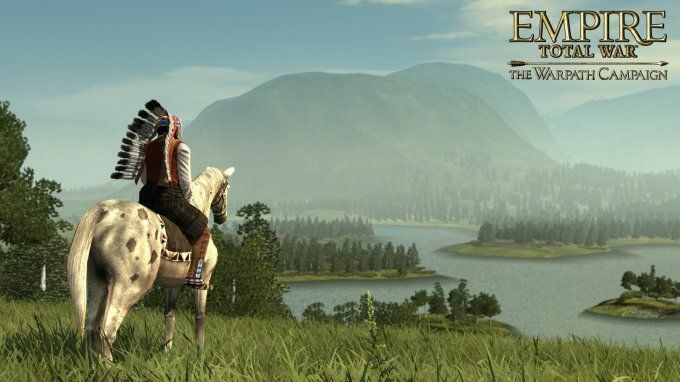 It’s unlikely that traditional expansions of the past will ever be seen in a Total War game again. 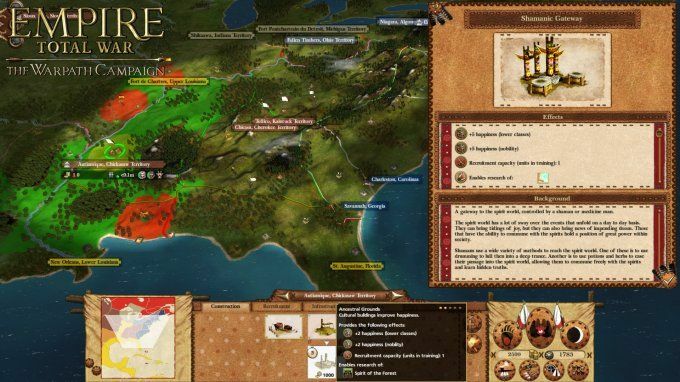 CA have been experimenting with mini-campaigns for years, Alexander, Kingdoms... even Viking Invasion for the original Medieval: Total War could be included in this category. All of these titles were received better over the likes of Barbarian Invasion (Rome’s first expansion), which was different in the sense that it was a grand campaign make-over. 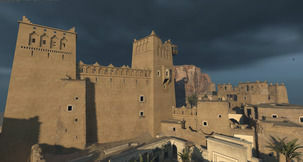 Now, with CA’s ‘discovery’ of Steam, they don’t even have to worry about a Kingdoms-like compilation for their expansions, and so we expect to see more of these in the years to come. The campaign map is basically Americas theatre from the original game, just expanded. The battles unlock the true potential of this add-on as you struggle to achieve victory. Whether or not Empire will see any more like Warpath however remains to be seen. With Napoleon around 4 months off, there’s still time to squeeze in a few more of these micro-expansions or unit DLC’s, but who knows. One thing is for sure however, an offering like Warpath is unlikely to get CA off the hook with regards to their commitment to the game. It will be interesting to see what happens to Empire when Napoleon comes out in February next year, and believe me, the fans will be watching. Warpath is a cheap and cheerful add-on for a great game. 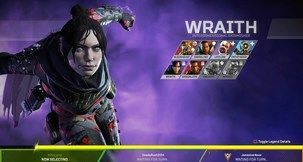 It’s not compulsory and doesn’t bring any benefits over the main game that players can’t get for free in the latest patch. If you like it, great, if you don’t think it’s for you, then there’s no point in losing sleep over it. Actually beating a large, experienced European army.